In this week’s prospect report, I’m going to take a look at some of the Islander prospects playing hockey in the NCAA. College hockey has constantly been on the rise and is producing more and more top prospects as many American hockey players are opting to go to college rather than playing juniors in the leagues of the CHL. In the Islanders organization specifically, many of the top prospects are products of the CHL, such as Michael Dal Colle and Josh Ho-Sang, however there are still respectable prospects playing at various colleges across the nation. 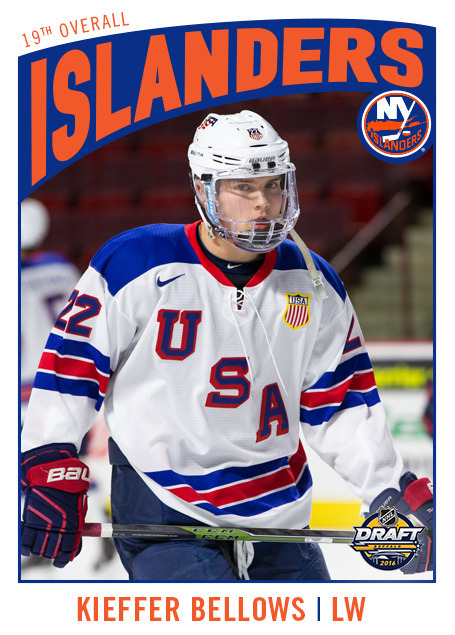 Although the high profile prospects in the organization have historically been products of junior hockey, you can never count out any college prospects as Anders Lee, a former 6th round pick out of Notre Dame, is an extremely important piece of this year’s roster. 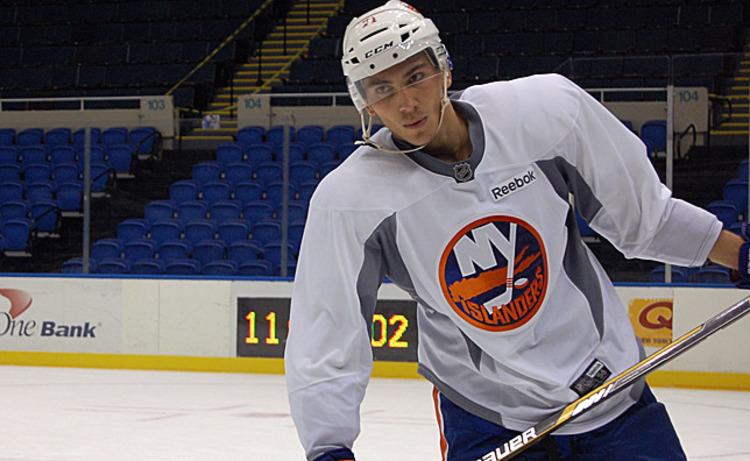 Current Islanders that played college hockey include Kyle Okposo, Brock Nelson, and Nick Leddy among others. Taylor Cammarata was selected in the 3rd round of the 2013 draft and was the leading scorer that year with the Waterloo Black Hawks of the USHL, netting 38 goals. He is now in his sophomore season with an underwhelming Minnesota team, who were ranked #1 in USCHO’s preseason rankings, only to be outside of the top 20 with a 16-9-3 record. In his freshman season, Cammarata finished with 10 goals and 17 assists on the team that lost to Union College in last year’s tournament. There is no doubt that Cammarata can produce points as he has at every level of his playing career, however the major concern with his game is his size. He is listed at 5’7” and 154lbs, which is small for the NHL; however there have been a few very successful NHLers that are of the smaller stature, most recently Johnny Gaudreau who has similar size at 5’8”, 155lbs. Personally, I think Cammarata could be successful at the NHL level, however with very little wiggle room as far as forwards are concerned, he is likely to finish his four years at Minnesota and then work his way through the organization starting in Bridgeport. He has decent offensive upside, but will have to prove his size won’t be an issue. Stephon Williams has emerged as one of the best goaltenders in college hockey this season, backstopping the unanimous #1 ranked Mavericks through a very impressive season. He is now in his junior season and despite a sophomore slump, has returned to top form and has put up the best numbers of his career. He is somewhat of an underrated prospect within the organization, but has proven that he deserves some attention as the goaltender of the best team in the nation. I ranked him as the third best goaltending prospect for the future, but with the top two playing overseas (Sorokin/Soderstrom), Williams has a shot to make his way through the system following his time in Minnesota. I am interested to see how Williams handles the pressure of the spotlight as the end of the college hockey season is quickly approaching. I am also interested to see if Williams can carry his success into his senior season as he took a serious step back following his Rookie of the Year performance during his freshman season. 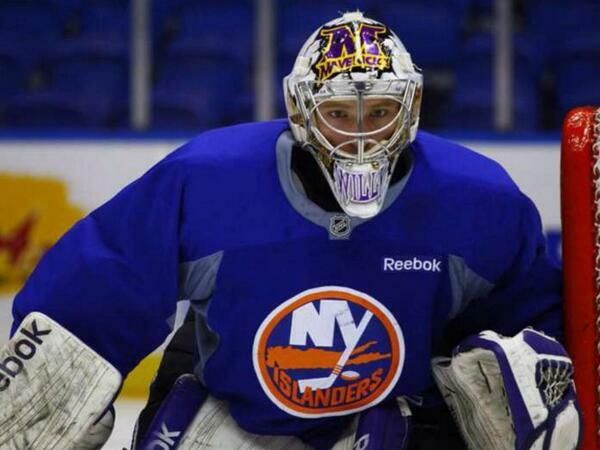 In the end, Williams will be the next goalie to graduate into a weak Islanders professional system and will have to prove he is worthy of a roster spot with Bridgeport. Eamon McAdam is now in his sophomore season at the upstart Penn State hockey program, where McAdam had to wait until his second year to record his first win. Penn State is in only their third season of Division 1 hockey and managed to get themselves into the top 20 as the 19th ranked team this season, making for a successful start for their program. Of course McAdam’s numbers his freshman year suffered as a result; however in his second season he still hasn’t gained the starting role, sitting behind undrafted junior Matt Skoff. Because he has been unable to separate himself from his fellow goaltenders despite being a highly touted prospect coming out of the USHL, I am concerned for his future and am very reluctant to commit to him playing a large role in the future of the organization. I believe that with two years remaining of NCAA eligibility remaining, McAdam needs to take the wheel at Penn State and really prove he can be a reliable starting goaltender. His success in the last two years of his college career will be vital for his future with the Islanders. As of right now, McAdam will be looking to attempt to crack the Bridgeport lineup following college, but with Stephon Williams one year ahead of him, the competition will be tough. Russo was selected during the 4th round of the 2011 draft and has put together a very solid career for the Fighting Irish of Notre Dame. He is without a doubt the best defenseman on their roster and is second on the team in points, despite playing on the blue line. He is an offensive minded defenseman, but plays defense well. Russo may have been higher on the list; however with a system absolutely stacked with defensive prospects, the road to the NHL for Russo will be extremely difficult. Despite missing the second half of his junior season due to academic probation, Russo has been able to bounce back and leave the suspension in his past, putting together the best year of his career. I am impressed with his offensive upside and believe that he can be a very good addition to the system provided the Islanders are able to sign him to an entry level deal following his senior season. He has proven to be a dominant defenseman in college and if he can transfer that to the professional level he will be a solid prospect for the future of the organization. Toews, another 4th round pick, was selected in last year’s draft. He is somewhat of a late bloomer, being selected after his freshman year at Quinnipiac, after finishing with 17 points and a +9 goal differential. Now in his sophomore season, he is set to improve on his point total and has proven to be a solid defenseman for the 13th ranked Bobcats. He is one of the leaders on the blue line and plays a solid two-way game. 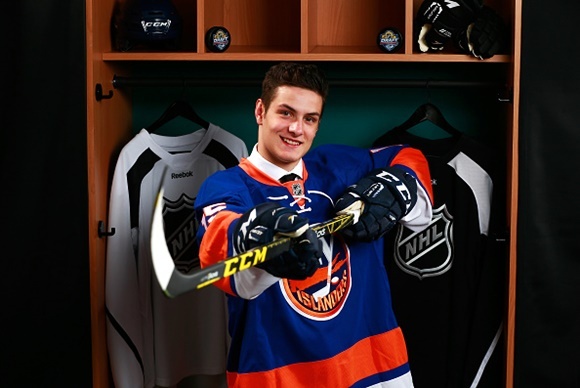 Similar to Russo, he has play-making ability to match his offensive upside and will be a valuable addition to the jam packed pipeline of defensemen the Islanders are lucky to have. He has two more years left of eligibility and seems poised to improve on a yearly basis, which will carry him into his professional career. keep an eye on Toews as he is one of the more under rated prospects within the organization, which is to be expected given the fact that there are plenty of defensemen in front of him. If he is signed to an entry level deal following his collegiate career, he will have to prove himself on a Soundtiger’s roster that is full of young defensive prospects.